Home » Blog » garage floors » What Makes Our Flooring Technology Ideal for Schools? A lot of factors go into the process of designing a school, from choosing a suitable color of paint down to the type of flooring to have installed. There are numerous aspects that a school owner, administrator and building manager must decide upon but, when it comes to flooring, you need look no further. 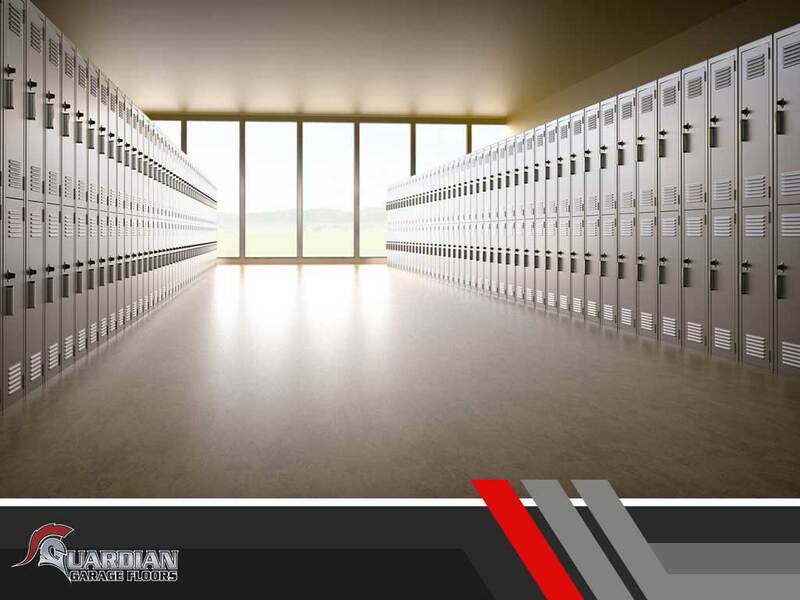 Guardian Garage’s flooring technology combines the qualities that you seek, making ours the most ideal school flooring material available on the market today. Visual Appropriateness. School flooring must complement the building and the room where it’s to be installed. Besides being visually pleasing and comfortable to the eye, its color must blend with the rest of the room or space. Guardian Garage offers a variety of color and pattern options, so you will definitely find the best combinations you need for your school. Uncompromised Safety. School floors must also be safe. This means they should be non-slip and comfortable to walk on. Guardian Garage floors are made from excellent high-quality materials and boast unquestionable safety and quality. Ease of Maintenance. Schools typically experience high traffic on a daily basis. This means that your building and the materials used to build it, including flooring, are subject to extensive wear and tear. Maintenance is extremely important as it can help stave off damage. Guardian Garage floors are very easy to maintain, helping you save time and money. Lasting Performance. Our floors boast a strong material composition which, together with our top-notch installation process and easy maintenance, promise you nothing but unmatched quality standards and lasting performance–backed by no less than a lifetime warranty! Looking for the best flooring option for your school? Get in touch with Guardian Garage today. We can help you find an ideal flooring solution for your needs. Call us at (615) 984-4926 or fill out and submit our online form to schedule a free consultation. We offer residential and commercial garage floors and other flooring solutions in Nashville, TN; Rome, GA; and nearby communities. This entry was posted in garage floors and tagged flooring technology, ideal schools, lasting performance.